It's been a sad day for technology today, with the announcement of job losses in all corners of the industry. The biggest job cuts were made by eBay, where the company announced it is to shed 1,000 staff to help "improve operations". 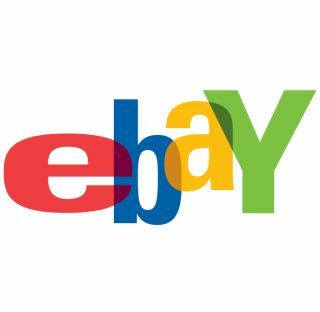 Speaking about the job cuts, John Donahoe, Chief Executive of eBay, said: "While never an easy decision to make, these reductions will help improve our operations and strengthen our ability to continue investing in growth." Not that this has put the company off expanding, with news that it has bought online credit firm Bill Me Later for $820m and two Danish classified firms dba.dk and bilbasen.dk for a cool $390million. In blogging circles, it was a shock to hear that Gawker Media is also saying bye to 19 people. This may not sound like a lot, but analysts are predicting this is the calm before the storm, with ad revenues tightening next year because of the credit crisis. Yikes. It's all a bit doom and gloom in the world of Sony Ericsson as well, with the phone company announcing last week it is to down-size its research and development plant in North Carolina – from 750 jobs to 300. SE employers will find out this week who is to face redundancy. All this pales into comparison, however, with Hewlett Packard's announcement last month that it is to cut nearly 25,000 jobs in the next three years as it integrates technology firm EDS. Today it was revealed that 1,400 of these positions will be going in Germany. That sound you can hear is of belts being tightened everywhere.